In a galant effort to bring in renewed interest to newspaper service, at least via the online platform, New York Times has launched its Times Skimmer application. Ironically, this new application will remind you of how it feels to read daily news as if you were reading the traditional newspaper. NYT’s Times Skimmer mimics the way you browse through newspaper spreadsheets. 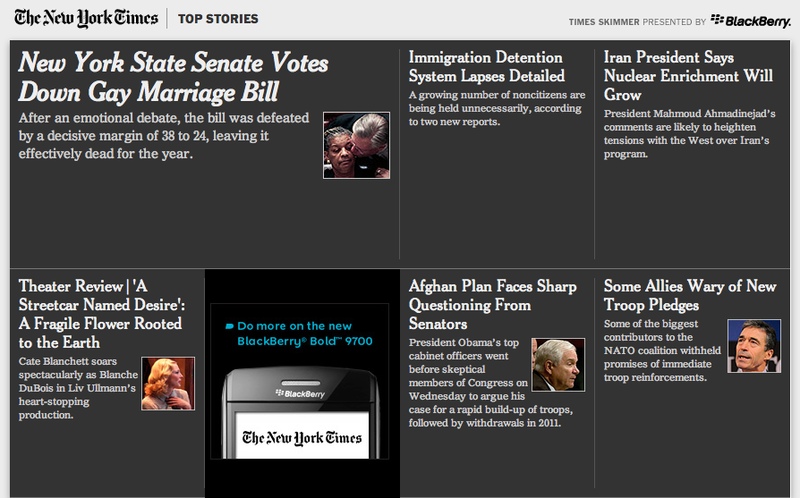 Times Skimmer gives you NYT Online in a grid format displaying headlines and short summaries on individual grids. And to make it really more like the actual newspaper, Times Skimmer uses the same font used in the newspaper. This ensures that you won’t miss reading New York Times on paper at all.